Home > Blog > > Apprentice of the Year – nominations now open! Apprentice of the Year – nominations now open! As part of National Apprenticeship Week, we will be announcing the winner of the Baltic Apprentice of the Year award. If your apprentice has gone above and beyond in their role this year, we want to hear from you! Any Baltic apprentice who is currently on programme, or has completed their apprenticeship in the last 12 months, is eligible for the award. We are also running an Employer of the Year competition, so if you are an apprentice who thinks that your employer deserves some recognition, you can nominate them here. Over the next 2 weeks, we’ll be accepting nominations from managers and mentors. Once the nominations are in, we will create a shortlist of 5 finalists who we think are deserving of the title. These nominations will then be put to a public vote in the run-up to National Apprenticeship Week. We encourage the finalists to engage with the campaign and share the vote on their social media platforms. The overall winner will be announced on the 7th of March. The winning apprentice will receive a trophy, certificate, Baltic hoodie and £100 in Love2Shop vouchers. Not to mention the glory of being named Baltic's Apprentice of the Year for 2019! 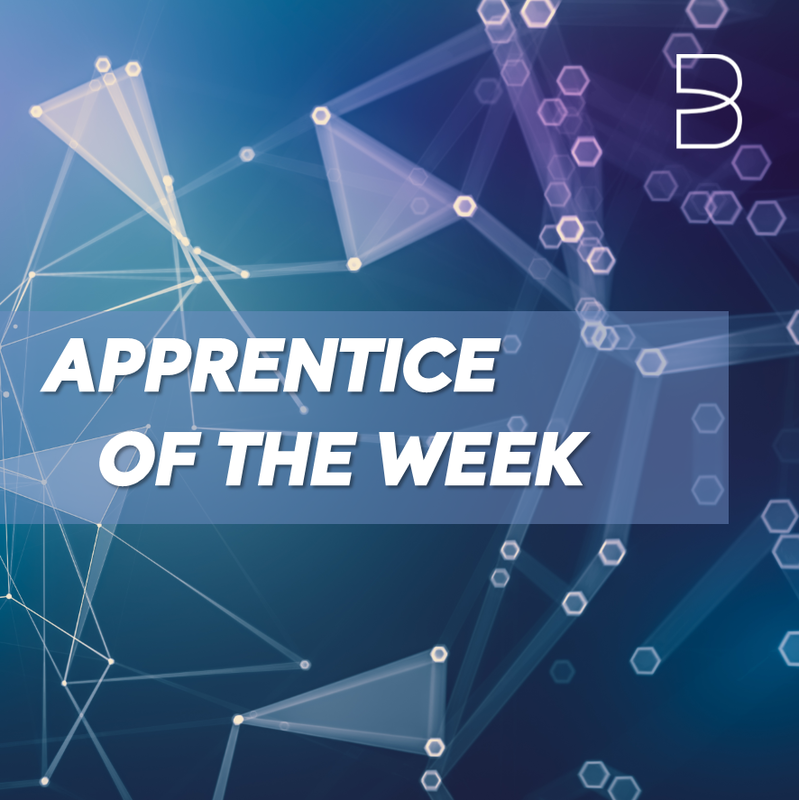 We will feature your business on our blog and social media, so it’s a fantastic way to celebrate your apprentice and the support you have offered as an employer. All of our apprentices make an impact on the companies they work with, so it’s important that you make your apprentice shine in your nomination. Where possible, use specific examples to showcase how they have improved their skills and had a positive effect on your organisation. To give you an idea of what a winning nomination looks like, take a look at 2018’s winner, Jack McNichol from Churchill Community College. You can read about the exceptional work he did here. How do I nominate my apprentice? Download our nomination form below, answer the questions and send it back (along with any supporting evidence) to nominations@baltictraining.com. The deadline for nominations is the 15th February.